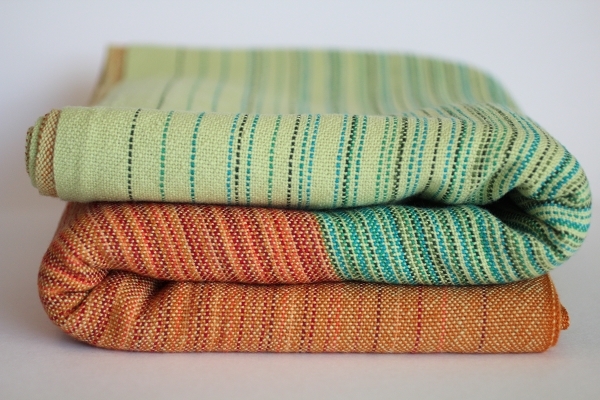 At Uppymama, right here in Canada, they hand-make woven wraps. The perfection of these beautiful carriers starts with the thread. The softest, luscious 100% cotton is artistically chosen thread by thread to construct each of these glorious fabrics. The fabric is woven in small batches so they can add the extra features which make every Uppymama carrier really special. 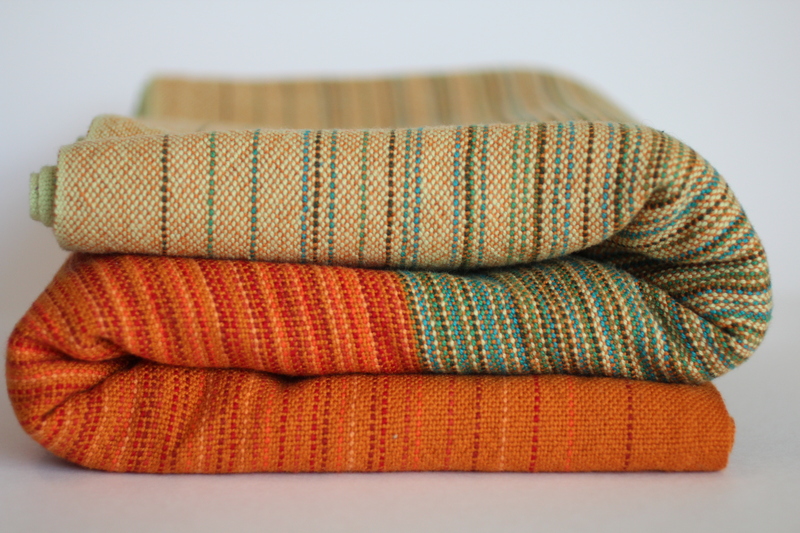 Every piece of Uppymama fabric is woven to the exact width required, with delicate yet sturdy salvage edges. This feature allows the luxury of producing carriers with beautiful unhemmed edges. This is something they are very passionate about at Uppymama. Unhemmed edges or rails allow for intricate tightening and tying that just can't be achieved if the fabric is turned and hemmed. Every Uppymama carrier has unique, individual rails. This means the rails are easy to identify when you are tying your wrap. It is easy to tell which edge to pull to get the perfect support. The unique rails also help you keep the fabric from twisting as you are tying or wrapping. Actual shipping and insurance will be charged.